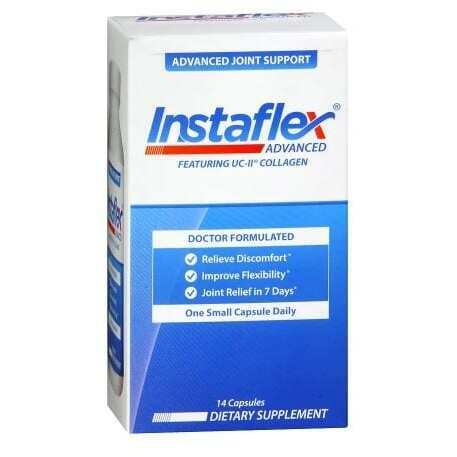 Instaflex Advanced, a physician-formulated, scientifically proven joint support solution, has been clinically proven to relieve joint discomfort, improve flexibility, and provide joint relief in as few as seven days. Nearly every move we make throughout the day affects our joints. Even at a desk job, sitting in one position all day can put a strain on sensitive areas such as our knees or neck. Factor in an active lifestyle – exercise, keeping up with kids, yardwork – and it becomes clear that the attention we pay our joints is often insufficient. Intended for those who are determined not to let joint pain stop them from living an active, healthy lifestyle, Instaflex Advanced contains a unique compound that is the complete joint solution. Curcumin is the key active ingredient in turmeric. Curcumin is a polyphenol, or a micronutrient with antioxidant activity. Polyphenols have also been known to have a positive effect on bone metabolism, reducing the risk of developing osteoperosis. Specific to Instaflex Advanced, turmeric extract plays an important role in anti-inflammatory effects. Research has shown turmeric extract to significantly decrease inflammation and joint pain and increase function in patients with multiple types of arthritis. Similar to turmeric, reservatrol is also a naturally occurring polyphenol found in plants of the Polygonum species; most commonly in the skin of red grapes. In addition to it’s protection of neuropathways, reservatrol from polygonus cuspidatum root extract, or Japanese Knotweed, has gained a substantial amount of attention for it’s anti-aging and disease-fighting properties. 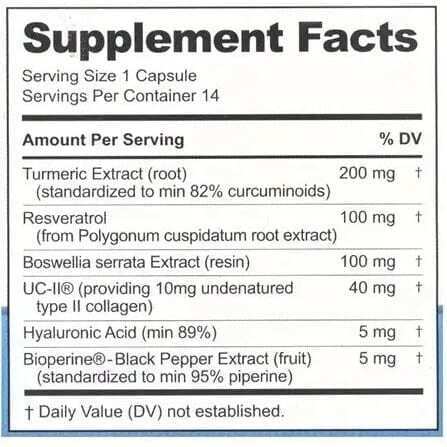 Also similar to turmeric extract, reservatrol has been shown to reduce inflammation. This property contributes to the lowering of swelling in the body, specifically around the joints. Reservatrol was assessed in several settings and proven to reduce the viscosity of the blood and act as anticoagulant to thin blood, improving overall cardiovascular health. Boswellia Serrata is a gum resin extracted from a tree, which is often burned as incense but in this case, is extracted for it’s anti-inflammatory enzymes. These anti-inflammatory properties were investigated for their benefits in osteoarthritis. Boswellia supplements were shown to suppress pain and immobility associated with osteoarthritis in as few as seven days. UC-II is derived from chicken sternum cartilage and is known for supporting joint comfort, mobility and flexibility. Undenatured collagen, administered orally, has been shown to reprogram the immune system to promote healthy joints and increase joint mobility. This occurs through a process known as oral tolerization. Oral tolerization helps the body to differentiate between foreign invaders and beneficial elements. Undenatured type II collagen has been shown to correct a faulty immune response targeted at type II collagen present in bone joint cartilage. 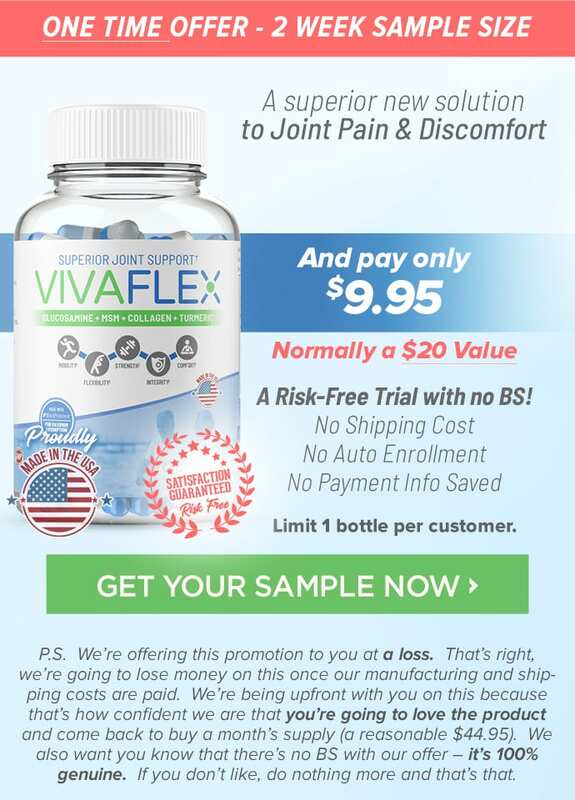 In effect, it modulates the body’s immune response, soothing and repairing joint function. Hyaluronic acid, often called anti-aging acid, is recommended by dermatologists and physicians alike for it’s ability to improve the skin’s texture and appearance as well as reduce joint pain and other symptoms associated with aging. It is a lubricating, clear substance produced naturally by the body. It is most concentrated in the skin, inside joints, within the eye sockets and in other tissues where it helps retain collagen, increase moisture, and provide elasticity and flexibility. Notably, it is found in all bones, connecting tissue, joints, tendons and cartilage structures. Because it helps buffer bones and provide resistance to wear and tear, Hyaluronic Acid is useful for lowering pain and tenderness associated with degenerative joint diseases such as arthritis. Hyaluronic acid is also found in the synovial membrane of the joints, in which fluid helps to absorb shock to the joints, regulate elasticity and carry nutrients to cartilage. Hyaluronic supplementation has been approved by the FDA to treat osteoarthritis and has been shown to reduce joint stiffness and chronic pain. Black pepper extract is a source of piperine, a molecule that has been shown to inhibit enzymes that would attack other molecules. Black pepper extract is ideal consumed in supplements to increase absorption rates by modifying supplement metabolism. Without this kind of ingredient, a supplement could be rendered useless. Gelatin is a protein used for treating osteoarthritis, rheumatoid arthritis and brittle bones. It is often used for strengthening bones and joints. It accomplishes this because it contains collagen – one of the materials that make up cartilage and bone. In a study conducted by the American Academy of Family Physicians in Dallas in 2000, 175 patients with osteoarthritis of the knee were randomly assigned to receive either a daily gelatin supplement or a placebo. Those who ate a supplement containing 10 grams of gelatin plus calcium and vitamin C had significant improvements across the board in pain, stiffness, and mobility measures. Instaflex also contains the inactive ingredients cellulose, magnesium stearate and titanium dioxide to improve the body’s ability to digest and break down enzymes contained in Instaflex Advanced. One capsule of Instaflex Advanced should be taken once daily with water. Speak to a doctor before taking Instaflex Advanced if you are pregnant or nursing.